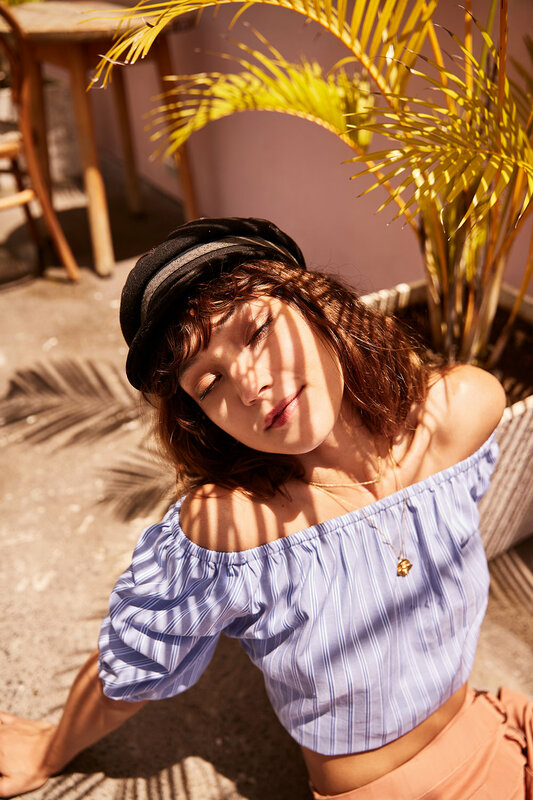 Whether you're prepping to soak in Cali rays at Coachella or keeping your fingers crossed for prime time Groovin' The Moo weather, we've got your festival uniform sorted. Introducing our latest editorial, featuring Australian beauty Valentina Ruby serving up fire looks for wherever you're headed this festival season. Think sweet gingham and ditsy floral dresses, easy-wearing separates and playful denim minis - because Beyonce sounds better in BNKR. Explore the full editorial here + shop our festival edit now. Shop The Fifth Idyllic Dress. Shop Finders Keepers Inverse Denim Dress. Shop C/MEO Be About You Playsuit. Shop C/MEO Outline Mini Dress. Finders Keepers Rotation Mini Dress (coming soon). The Fifth Acacia Top + Shorts (coming soon). Shop The Fifth Wander T-Shirt + Apricity Pant (coming soon). Shop The Fifth Barbados Stripe Top + Expedition Skirt. Shop Finders Keepers Arcadia SS Top (coming soon) + Inverse Denim Skirt.